Sometimes you need a place to live that’s both big enough and cheap enough. 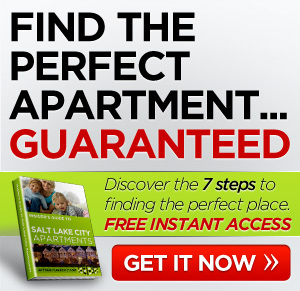 So, when you’re looking for affordable apartment rentals, Salt Lake City has 11 complexes that are both high-quality and budget-kind. 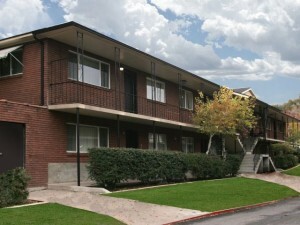 With lush landscaping and great amenities, the community is just minutes from downtown Salt Lake City. They regularly offer specials to help you transition into your new home. This great complex provides residents with a high-speed Internet, cable, and phone package at no extra charge. Near both downtown and the airport, these apartments still manage to offer quiet comfortable living. Plus the prices are super-affordable. This is the least-expensive 2-bedroom on the list. With beautiful granite countertops indoors and green grass and shady trees on the grounds, this complex is a great choice, plus they also accept housing vouchers. These remodeled apartments are in a great spot. They’ll even allow your pets and have a generous pet policy. This place has more amenities than I’ve ever seen in apartments within this price range. They usually have a high occupancy rate, so you might end up on a waiting list, but check them out anyway. I lived around the corner from this complex for a few years and the neighborhood is fantastic. It’s within easy walking distance of downtown, but has a quiet you’d never imagine considering the site. With ceiling fans and air conditioning, it is easy to keep cool here during the hot summer months. The community also has a playground, basketball court, and two swimming pools. Vaulted ceilings give extra space to these already-roomy apartments. Short-term leases are available here. With beautiful views and fancy granite countertops, these apartments offer a number of floor plans so you can choose the layout that best fits your needs. Offering apartments and townhouses, these 2-bedrooms are some of the largest on the list, ranging between 1,100 – 1,150 square feet. 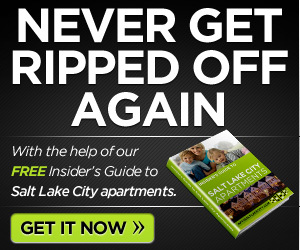 Hopefully this quick trip through several complexes has helped you consider some of the available apartment rentals. Salt Lake City is a great place to find a bargain, and these 11 apartments are some of the best deals around.